This is a truly mesmorizing color stone. 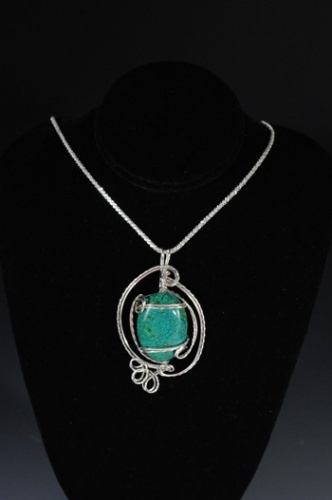 It is wrapped with twisted Argentium silver. It will make a true statement when you wear it. Piece measures 2" from top to bottom and comes with a 16" chain.